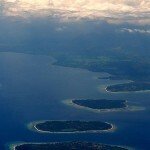 The legal question of property ownership has come to the forefront again in Indonesia, where authorities are investigating the alleged illegal sale of 13 of the Gili Islands. 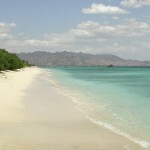 This very popular tourist destination is located to the northwest of Lombok, not far from the well-known island of Bali. According to reports by local press and an international newswire, the National Land Agency has been accused of giving ownership papers for these islets to a number of individuals and companies. The law is clear on the point of ownership; it comes with limited rights of use. Indonesian citizens, foreigners living there, Indonesian companies established based on local law, and foreign companies with representation in the country may buy the leasehold for up to 25 years. This enables the use and development of land. The lease can be extended at the National Land Agency for a further 25 years and subsequent 20 thereafter. The freehold is not for sale.